South Queensferry, Scotland, United Kingdom. 1 February, 2018. 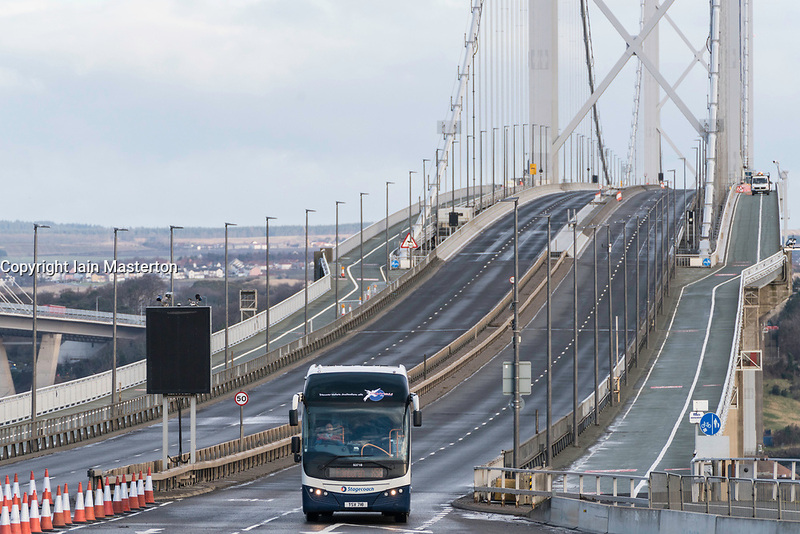 The Forth Road Bridge opened today as a dedicated public transport corridor giving bus and taxi passengers a direct and dedicated route towards Edinburgh. The reopened bridge also marks the launch of a new campaign, Fife in the Fast Lane , promoting public transport in Fife. Traffic flows in the morning rush-hour was very low with the bridge appearing empty for long periods of time.